Eschew the tourist crowds and head to Nationaal Park Weerribben-Wieden and Bussloo. 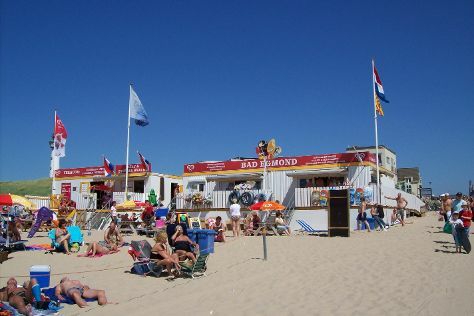 Take a break from Amsterdam with a short trip to Strand Egmond aan Zee in Egmond aan Zee, about 52 minutes away. The adventure continues: contemplate the long history of Begijnhof, don't miss a visit to Museumplein, and examine the collection at Zaanse Schans. To see ratings, maps, where to stay, and tourist information, read our Amsterdam trip builder. If you are flying in from Thailand, the closest major airports are Amsterdam Airport Schiphol, Eindhoven Airport and Maastricht Aachen Airport. April in Amsterdam sees daily highs of 17°C and lows of 6°C at night. Finish up your sightseeing early on the 19th (Wed) so you can travel back home.